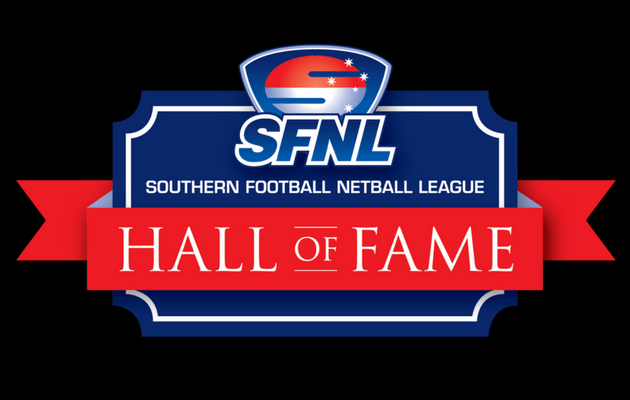 Next week's fourth annual Southern Football Netball League Hall of Fame Event will honour the not only the rich history of football in Melbourne's south east, but also the remarkable contributions made to the game by loyal club and League servants. Champion Federal league goalkicker Ray Carr, Murrumbeena legend Ross Gould, long-time Heatherton committee member Trevor Easey and Clayton and ESCFA Umpires Association life-time achiever Alan Flint will join the illustrious list of 31 current inductees into the Southern Football Netball League Hall of Fame in recognition of their decades of tremendous service to the League and its clubs. Tireless Mordialloc volunteer and media personality Wayne Fuller, long-serving Murrumbeena committee member Brian Ormsby and legendary Black Rock figure Tom Raftery will each receive Outstanding Achievement awards for their decades of meritorious service, while former League Board Member Glenn Duncan will receive a Distinguished Service award for his lengthy contribution to Oakleigh District in both playing and off-field capacities. In addition, long-serving SFNL Umpire David Smith will be honoured for his decades of service to the SFNLUA with Life Membership of the League. Smith will be the first person to receive Life Membership since the League re-branded to SFNL in 2015. The night will also an opportunity to reflect on and celebrate the rich history of the SFNL and its forerunner competitions, with a particular focus on the Eastern Suburbs Churches Football Association. 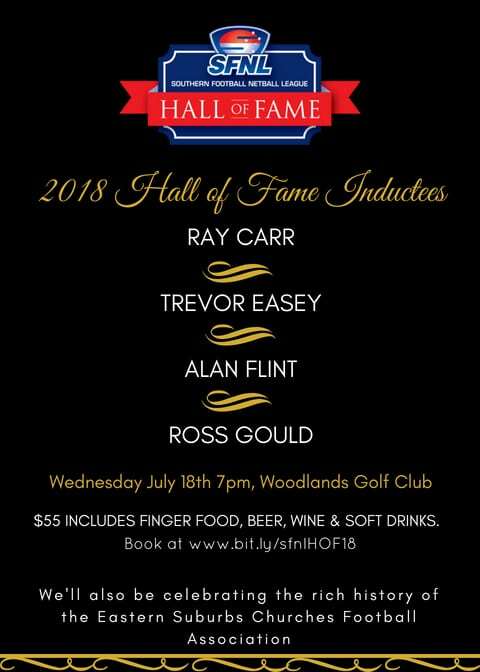 The 2018 SFNL Hall of Fame function will be held on Wednesday 18 July at the Woodlands Golf Club. Tickets for the event are now available for $55pp and can be purchased via bit.ly/sfnlHOF18.